You are "One Bad Mother Runner" running tank. Burnout fitness tank . Workout Tank top. Running Tank. Women's burnout tank top. Cross fit top tank shirt. 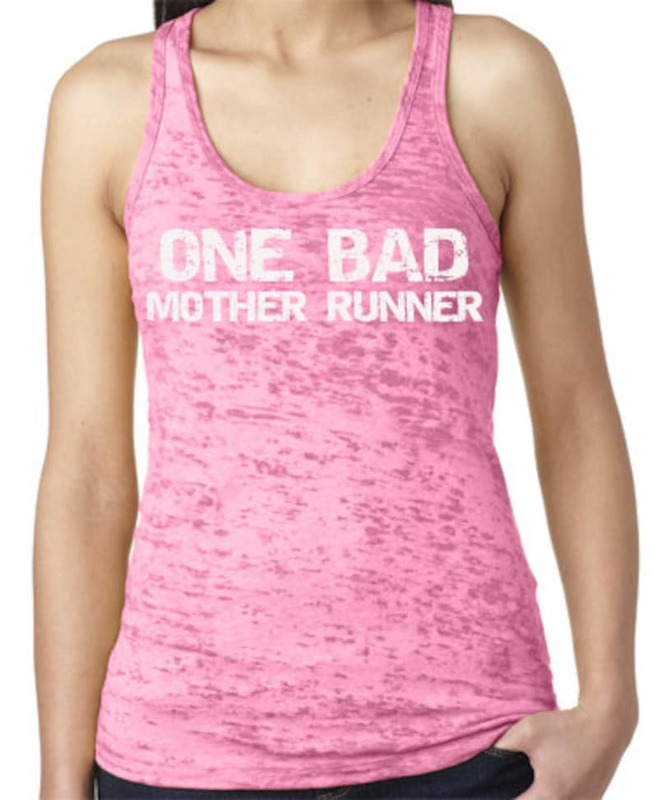 Be Proud that you are one Bad Mother Runner! These shirts are fitted, but true to size so only order up if you prefer extra room. Care Instructions: preshrunk 65%poly/35% cotton.